Your teenager may seem very confident, but all it takes are two words to create a sense of terror and unease. Yes, acne is the most common skin condition and is the bane of teenagers the world over. 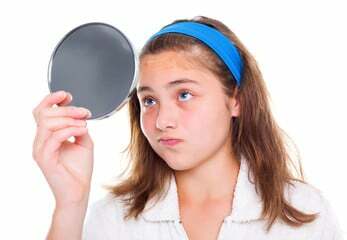 June is “Acne Awareness Month,” which could seem unnecessary considering just how aware your teen is of his or her acne. At the Center for Dermatology and Laser Surgery, we can help with various acne treatments sure to lessen the acne and its impact on a teenager’s self-esteem. For a long time, people linked acne breakouts with eating certain foods such as chocolate or greasy foods like French fries. That was never true — acne is caused by the sebaceous glands. These are the glands that are attached to hair follicles in the skin on the face, neck, back, and chest. Their job is to produce the oil that keeps our skin and hair from being like the Mojave Desert. The sebaceous glands respond to raging hormones in puberty and also in times of adult hormone imbalance, such as during menstrual cycles or pregnancy. Overactive hormones make the sebaceous glands overproduce oil. When the levels are normal, the oil produced is released through the opening of the hair follicle/pore. But overproduction means the oil can’t exit the follicle fast enough and it clogs things up. Now that clogged follicle is a prime spot for bacteria to multiply and thrive. This causes inflammation in the form of pimples and other blemishes. In other words, the dreaded breakout. Acne treatments have come a long way. Formerly, the idea was to dry out the face with astringents, but that theory has been debunked. Successful treatments are all about trying to keep the skin clean and the bacteria from going nuts in the follicles. Some patients respond well to a regimen consisting of washes and/or creams. Others need short-term antibiotic prescriptions, oral contraceptive pills, or non-hormonal anti-androgen therapy. Severe acne that is resistant to various treatments may respond to istretinoin (brand named Accutane). Beyond creams, washes, or medications, at the Center for Dermatology and Laser Surgery, we also treat acne with chemical peels, red light therapy, blue light therapy, and other laser treatments. These procedures work to kill the bacteria in the sebaceous glands. If you or your teen is suffering with acne, there’s no reason to simply slog through it. At the Center for Dermatology and Laser Surgery, we can effectively treat it. Call us at (503) 297-3440 and let’s get started.